RealAutoTips. - There are many kinds of Exhaust that very used for our motorcycle or car. One of the exhausting that used in motorcycle is Akrapovic. Although this exhaust usually used in sport, superbike, supersport, supermoto and motorcross, but this exhaust also can be used in Vespa motorcycle. 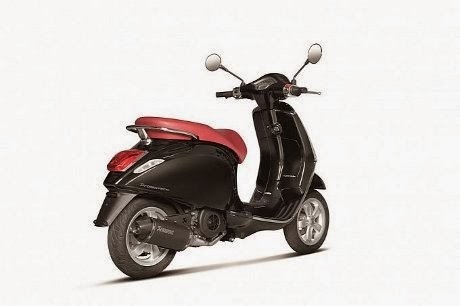 As reported from Detikoto that Slovenian exhaust manufacturer offers the muffler to be used in the Vespa. So using Akrapovic, Vespa you will be performing. Akrapovic exhaust can be used in some Vespa models, such as Primavera 125/150 3V, LX 125/150 3V and Sprint 125/150 3V. According to official sources at Akrapovic, Akrapovic racing exhaust using, Vespa motor performance will increase by 5 percent. Weight muffler has also been reduced from 5.6 kg to 3.9 kg. So Akrapovic racing exhaust is able to increase the maximum power of 8.4 to 8.8 hp at 7,750 rpm and torque increased from 9.3 Nm to 9.6 Nm (6.9 to 7.1 lb-ft). Not only that, to give the impression of a more attractive Akrapovic racing exhaust on the outside and use a black coated stainless steel. Nuance sport is also still visible which include carbon fiber lid.